The Las Vegas Board of Realtors is committed to giving back to the communities we serve. Many of our members are involved in our community by serving as volunteers on numerous boards and committees in addition to being involved in different facets of local government. One of the ways that the Las Vegas Board of Realtors is involved in the community is through a charitable fund that generates money from commissions earned by realtor members and matched by the local title companies. In 2008, the members of the board agreed to establish the Las Vegas Board of Realtors Community fund and to donate a minimum of $10 from each closing. Our local title company jumped on board and agreed to match all realtor donations for the fund. A committe of the board meets several times a year and decides which organizations to donate to. Some of the organizations include, the Samaritan House, the local Habitat for Humanity, First Born, New Mexico Highlands University, local fire departments, Salvation Army, etc. 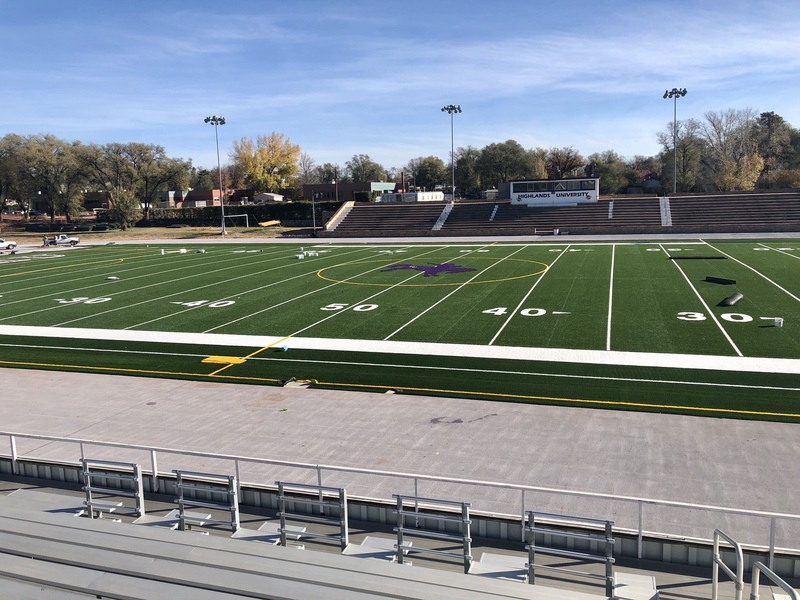 The Board of Realtors recently donated $1,000 to the New Mexico Highlands "Home Field Advantage" campaign to raise money to replace the outdated field at the University. 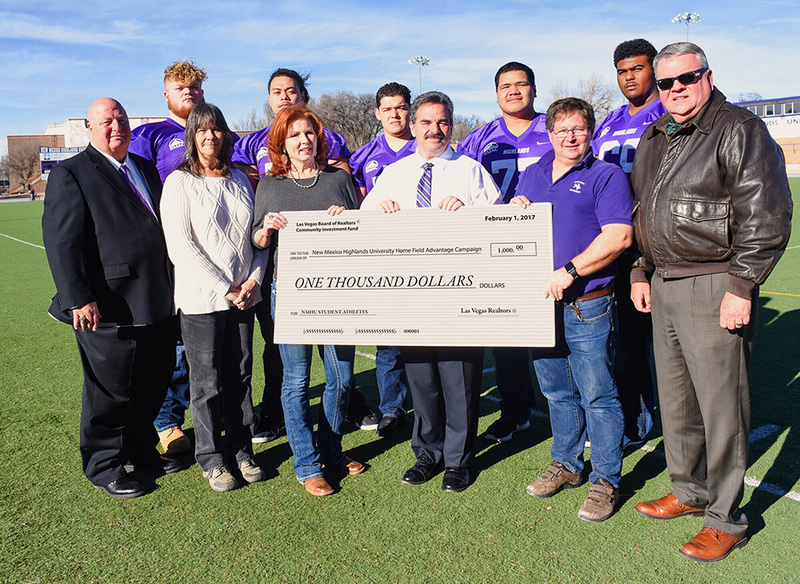 We were joined by President Minner, Coach Marty Fine, Athletic Director Bob Clifford and several NMHU student athletes to present the check.